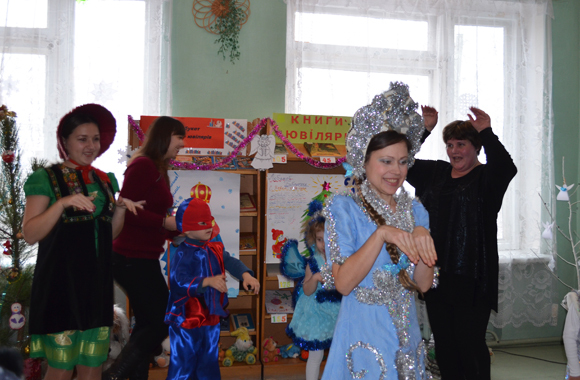 Students-volunteers took part in the New Year’s play for children. Students-volunteers majoring in “Social Work” of the Educational and Research Institute of History, International Relations and Socio-Political Sciences Anzhela Denisevich, Viktoria Zinchenko, Alla Kovalyova, Pavlo Ivchenko and the laboratory assistant of the Social Work Department Iryna Borovenska took part in the New Year’s theatrical performance for children – regular readers of Starobilsk children’s and youth library. The library invited all the children to a meeting with a fairy tale. The wicked witch Snow Queen mixed all the tales in a bunch. New Year’s holiday was under threat, because the fairy-tale heroes could not find their way home. Buratino, Malvina, Cinderella and Little Red Riding Hood circled in a lively dance with the children, so that the Queen felt hot. They collected snowballs, sculpted a paper snowman. 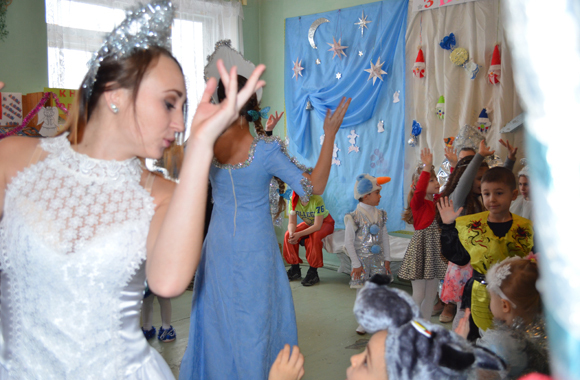 Moroz Morozovych rewarded the little guests with sweets for their incredible verses, while the Blizzard circled in a dance and treated with chocolate. 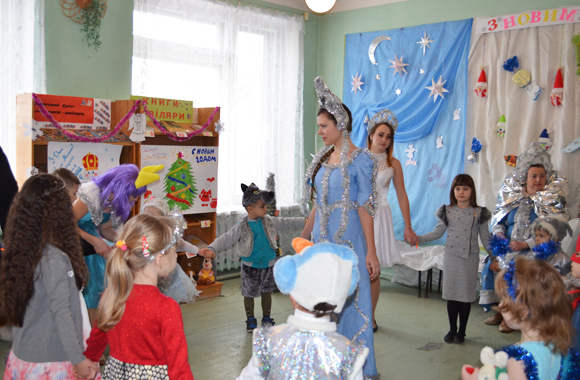 After all together defeated the Snow Queen, the children received gifts, kindly provided by the Chairman of the Supervisory Council, People’s Deputy of Ukraine Vitalii Kurylo.